SYNOPSIS: Director Castellari is know for more than a few entertaining Italian crime films like Heroin Busters and The Big Racket. As well as working with Franco Nero in Street Law, Keoma and Shark Hunter. This film is their first and perhaps best collaboration. 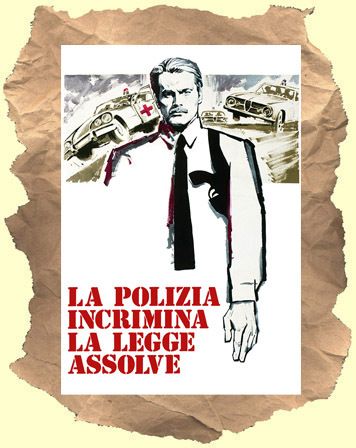 Considered by many to be a prime example of the "Poliziottesco" genre (Italian police / crime films). Nero stars as a police commissioner who cracks down hard on crooks. After a brutal killing of a key witness, some cops and an innocent civilian Nero starts to realize there's a new criminal element in his district. The more he digs the more bodies start to pile up. His boss James Whitmore is little help. Car chases, lots of shoot-outs, a motorcycle chase and an extended action scene finale with Nero catching up to his suspect. High Crime rides the line between exploitation and serious drama. Plenty of action and thrills in this film which remains unreleased on dvd! In English.